Are you looking for a car stereo system that packs a little more punch than your current stereo? Than you have come to the right place. We are your Expert experts in all things car audio. Limitless Electronics has been specializing in Idaho Falls car stereo systems and car stereo installation since the mid 1990s. With our expertise of a combined 60 years, we are sure to find the perfect solution for your car audio needs. 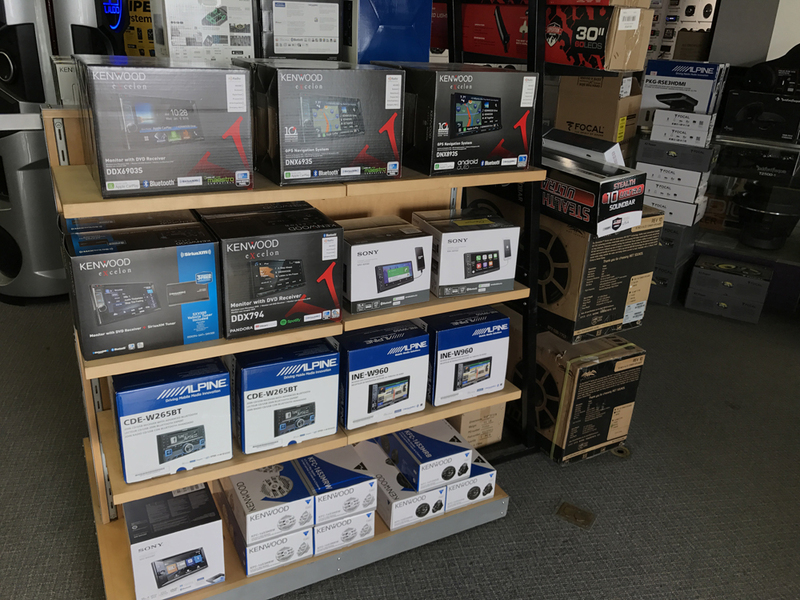 Come to our Idaho Falls showroom today and you will find top of the line brands for our CD players, Bluetooth, and Media Receivers like the brands shown below. Looking for a different brand? If you are looking for a different brand or type of car stereo system, we can order it directly from the supplier and have it installed in your car in only a few days. Not all stereo systems are created equally, according to an article by LifeWire, below are some of the top selling car stereo systems. Luckily, you can easily find these models and others at your Idaho Falls car stereo system retailer, Limitless Electronics. Music capability with smartphones and music files. It plays FLAC, MP3, WMA, AAC, WAV audio files and MPEG-1, MPEG-2, MPEG-4, AVI, DivX and WMV video files. This system also supports both Apple CarPlay and Android Auto. Compatible with Spotify, Pandora and SiriusXM radio. Bluetooth connectivity for calling and music playback. A 6.95-inch touch LCD display with LED backlighting that makes it easy to see and read what is on the screen. Up to 5 Bluetooth devices can be connected at one time. Rear USB input, rear A/V input, front- and rear-view camera inputs. Rear video output and six-channel pre-amp outputs. We all have different needs when it comes to choosing a car audio stereo system, let our expertly trained staff help you find the perfect stereo for your car when you stop by our Idaho Falls showroom today.